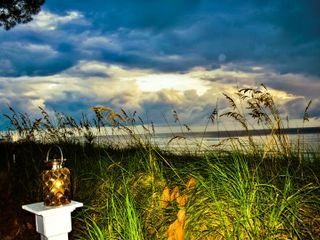 It would be hard to imagine a more beautiful spot for a beach wedding than the Sunset Beach House, voted Florida's #1 hidden get-away. 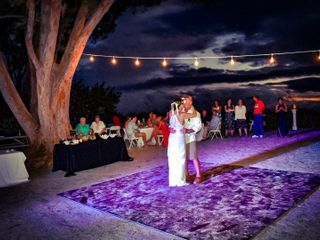 The Sunset Beach House offers a unique opportunity to celebrate a Florida beach wedding at your own private beach resort. 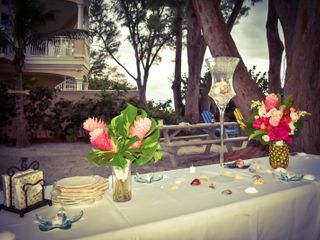 We hand you the keys to our beach front paradise for four nights or more…you can decorate it to make your wedding dreams come true. 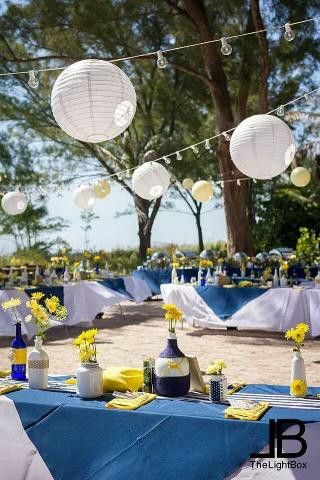 Past brides have rented tents, arches, lights…the limit is your imagination. 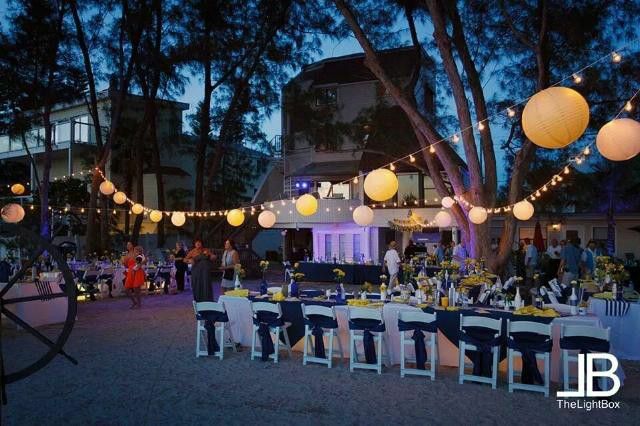 You can select your own catering service, have live music, and arrange for valet parking. 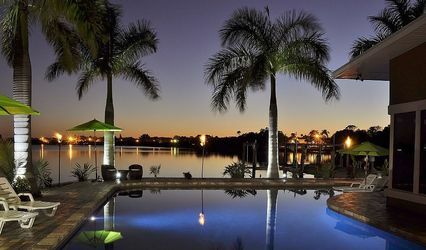 Located in a quiet, mostly residential neighborhood, about 30 mins from Tampa International Airport, the Sunset Beach House is a uniquely designed Hemingway-esque waterfront resort split into five suites. Each suite is furnished with style and with thoughtful touches to make your stay perfect. Two of the suites are the upper (Tree House)and lower (Sandpiper) halves of a beautiful home. They offer beach living at its finest and spectacular Gulf views. 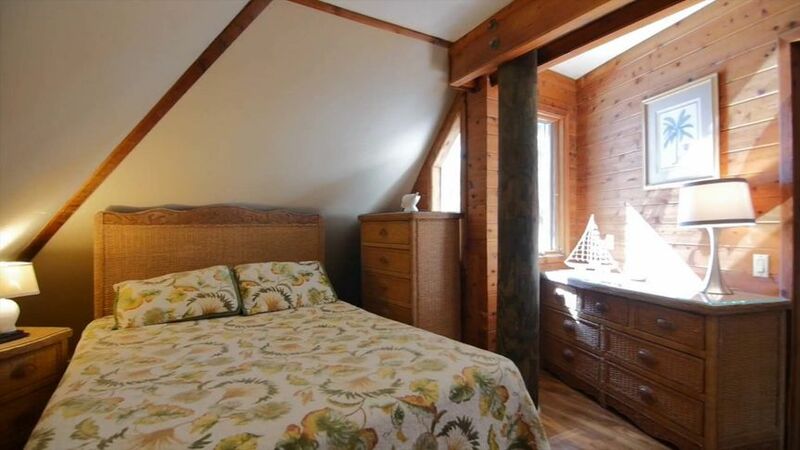 There are also three smaller one-bedroom efficiencies on the property called the “Beach Hugger Suites.” The property sleeps 19 total in beds. No matter which suite you choose, your backyard is a beautiful beach framed by sea oats and Australian pines leading to the Gulf. Each suite has a deck furnished with lounge chairs and patio furniture so you can take in the waterfront atmosphere. A grill and laundry facilities are on the premises for all our guests to use. 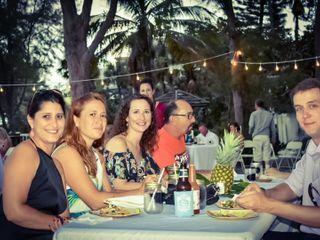 Lucky friends and family can stay right with you at the Sunset Beach House. 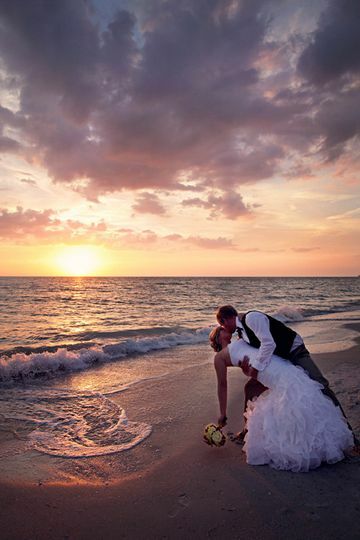 Many couples have chosen to spend their honeymoon with us as well. No extra flights, packing or security lines – just stay right where you are after your guests leave. Relax on the beach or be as active as you want. Wind surfing, kayaking and other activities are available just down the beach. Great dining, shopping and theater are right around the corner. 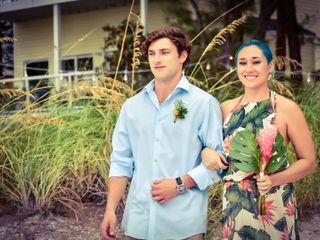 What a way to start your life together! 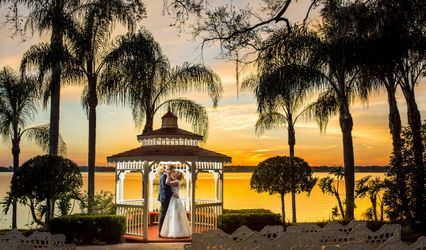 Wedding Rates: $8,995 plus tax for 4 nights. 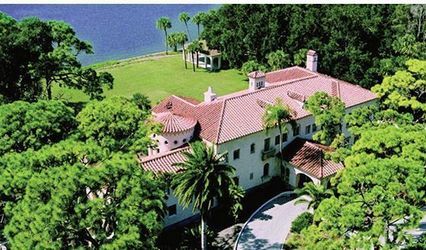 Rental includes exclusive use of the entire property. Security deposit: $1000 is required and held until after checkout. Please note that the liability for damages or missing items is not limited to the amount of the deposit. The deposit will be refunded within 30 days after your departure, less the cost of damages or replacements. As a private rental property, we do not provide daily housekeeping. We ask that you leave the units in good order on departure. Sorry, no pets. Smoking is welcome outdoors. All payments, including the deposit must be made by check, cash or money order. 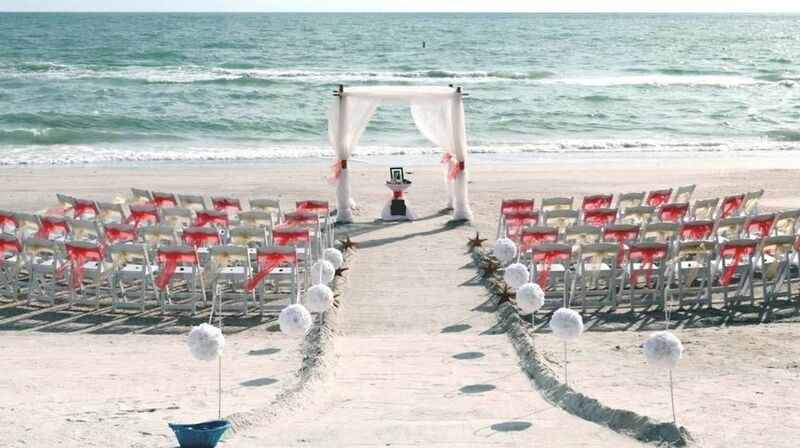 The Sunset Beach house is the best place to have a beach wedding. Sherri really made us feel like home and was very accommodating. The house is beautiful and clean, the back yard is very spacious with private beach access. We could not have asked for better and will be returning for a vacation in the near future. 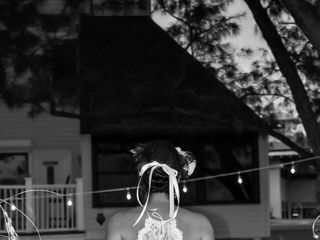 Highly recommend the Sunset Beach House to anyone who is dreaming of the perfect beach wedding. 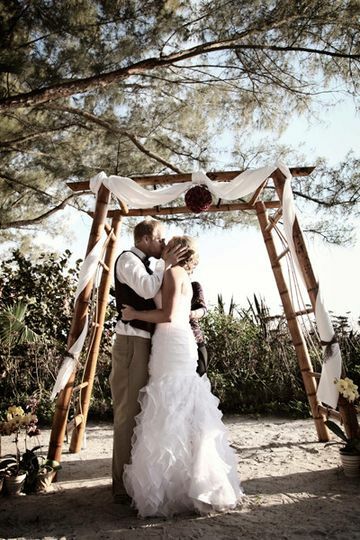 The Sunset Beach House is an absolute perfect place to say "I do". 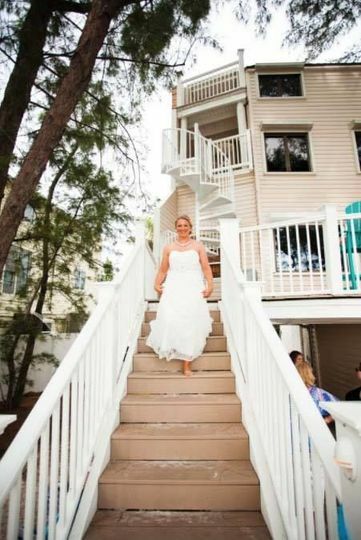 The house and the suites were very accommodating and we feel blessed that we were able to have our beautiful beach wedding on the beautiful beaches of Treasure Island. 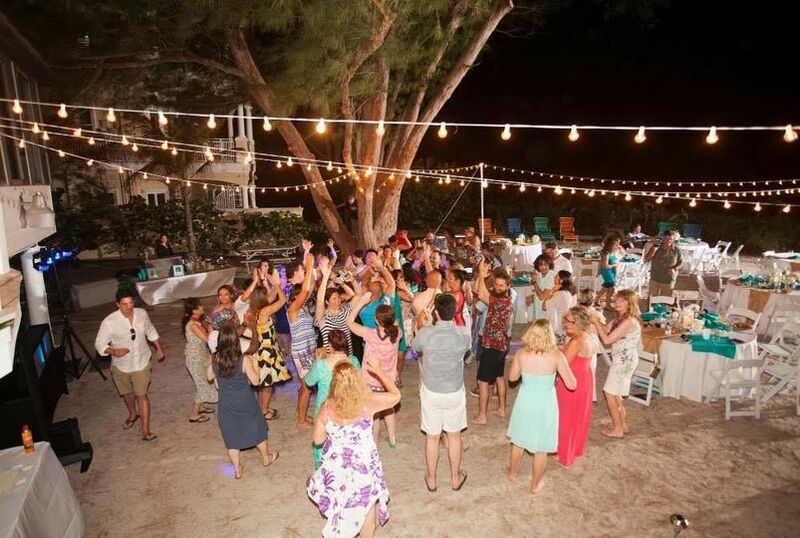 The entire property allowed us to have the beach wedding we wanted, with family and friends. 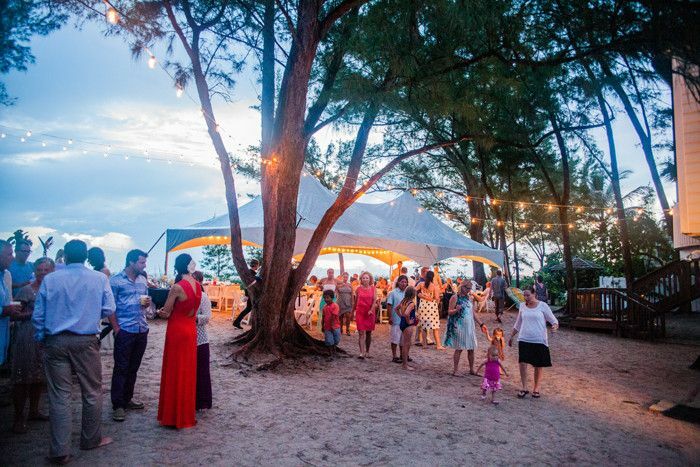 Awesome place to hold a beach wedding, especially if you want a place for family & friends to gather before and after the wedding!